This beautiful midcentury modern house was designed by one of the leading names of modernist architecture: A. Quincy Jones (not to be confused with the composer)! 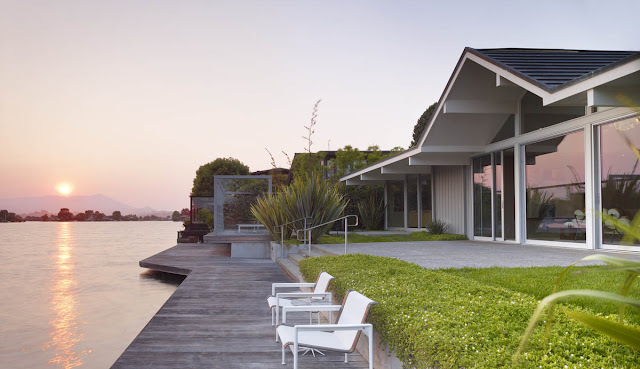 It was constructed by Joseph Eichler; the legendary bay area builder who constructed hundreds, perhaps thousands of mid-century modern houses in California during the 1950s. 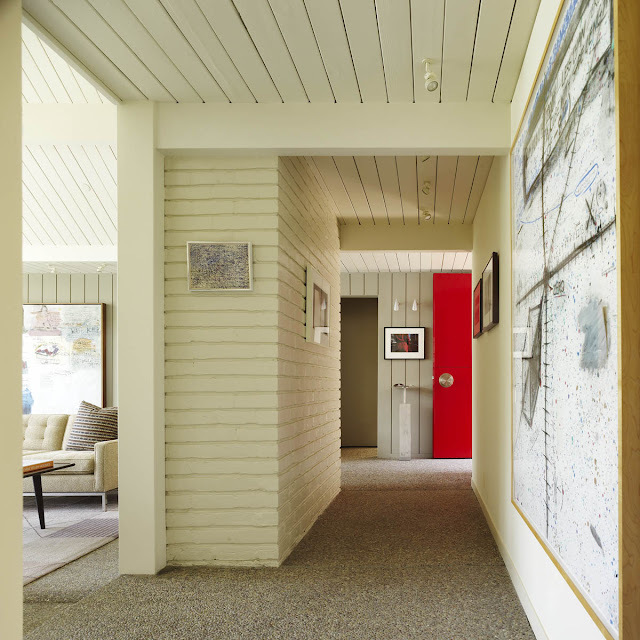 One of twelve custom houses built by Joseph Eichler, the A. Quincy Jones home had been unsympathetically remodeled in the eighties. The Garry Hutton design team procured original plans from Jones' widow and thoughtfully revived its historic importance. Interior furnishings synonymous with the period complement and showcase a carefully curated art collection. 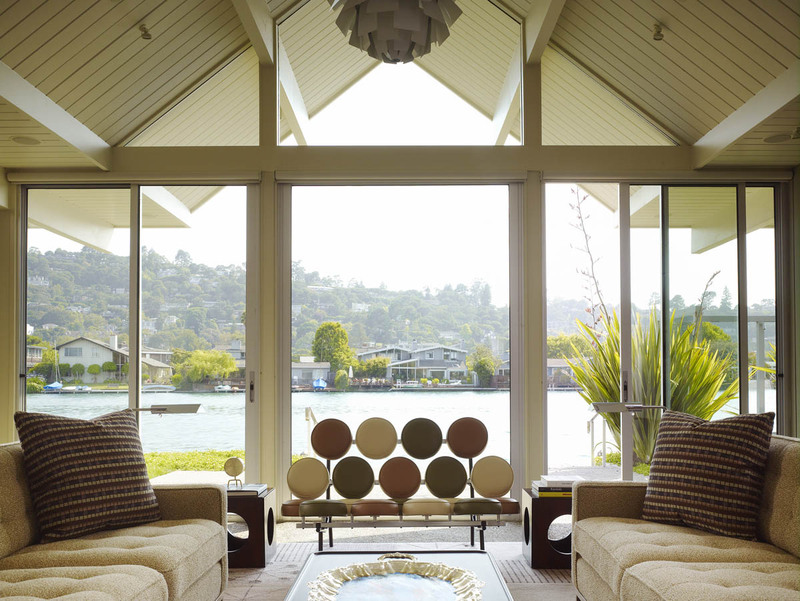 Gary Hutton is one of San Francisco's finest interior designers and he comes highly recommended by NOVA68. 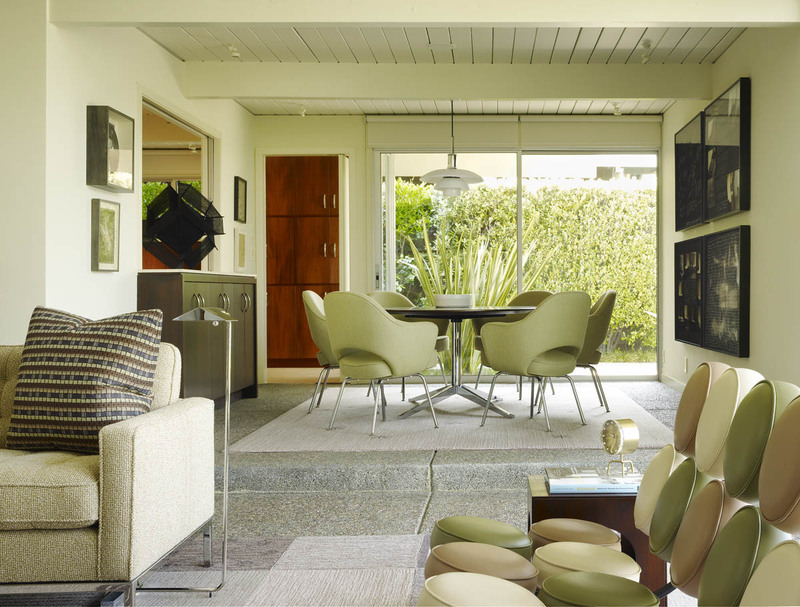 The modernist courtyard features the classic Willy Guhl Loop Chair. 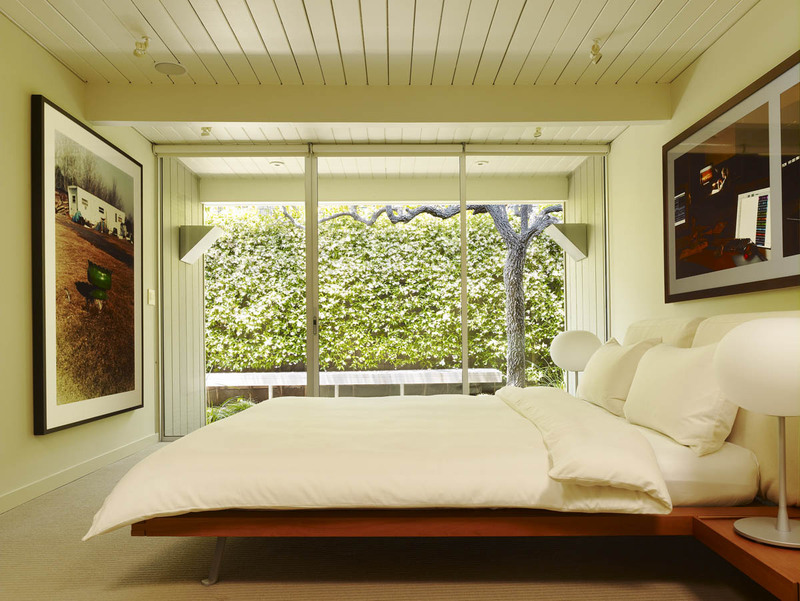 Its architectural qualities are a perfect match with the clean modernist lines of this gem of a house. Most of the midcentury modern furniture is available from New York modern design retailer NOVA68.com or Stardust Modern Design; a California based purveyor of modern design. Architect A. Quincy Jones's three-decade career (1945-69) included an 18-year partnership with Frederick E. Emmons that turned out designs for thousands of Eichler homes. During that span, they produced a wide variety of other work throughout Northern- and Southern California, remarkable designs that ranged from small residential projects to university master plans. Their practice was consistent in their implementation of rationalized building systems, sensitive site design, attention to the user, and experimentation with both design and materials. The partnership grew to include commissions for churches, manufacturing plants, university structures, libraries, and commercial buildings of varying size. They made certain that there was always a residential project on the boards, serving as a laboratory for many of the ideas used in other structures. 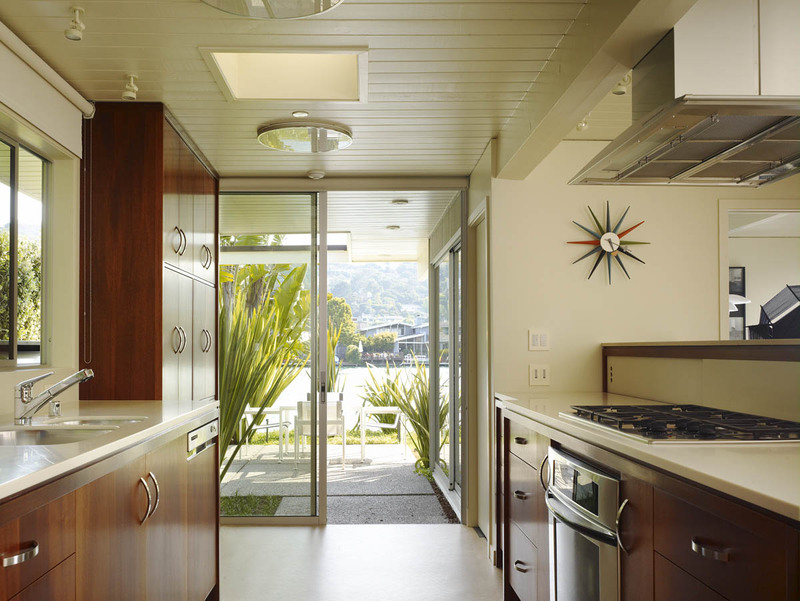 Often taking advantage of industrial prefabricated units to provide affordable yet refined architecture, Jones and Emmons bridged the gap between custom-built and merchant-built homes, producing dynamic, livable housing for the postwar moderate-income family. 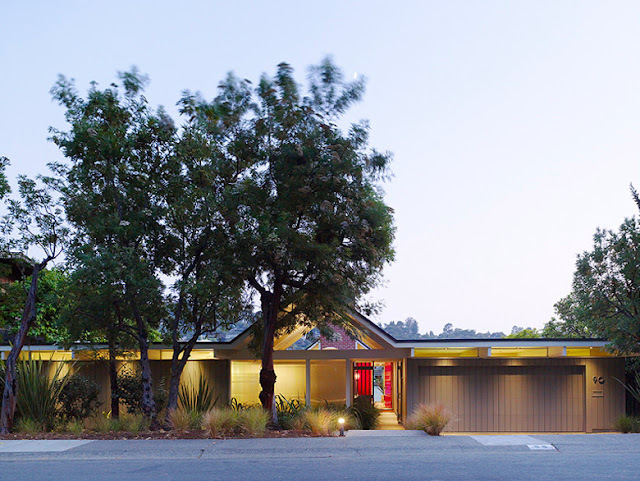 Their partnership began shortly after the innovative developer, Joseph Eichler, was awarded 'Subdivision of the Year' by the magazine Architectural Forum in December 1950. The same issue featured a 'Builder's House of the Year' designed by A. Quincy Jones. 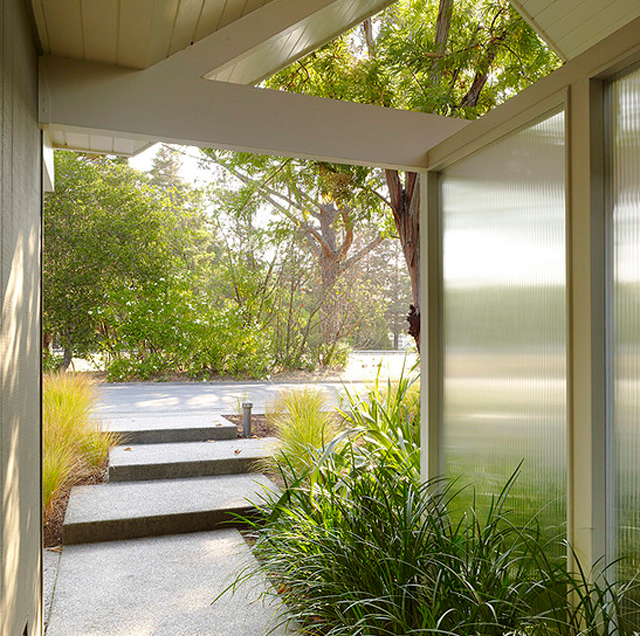 Eichler contacted Jones and invited him to tour a Palo Alto development he had just completed. 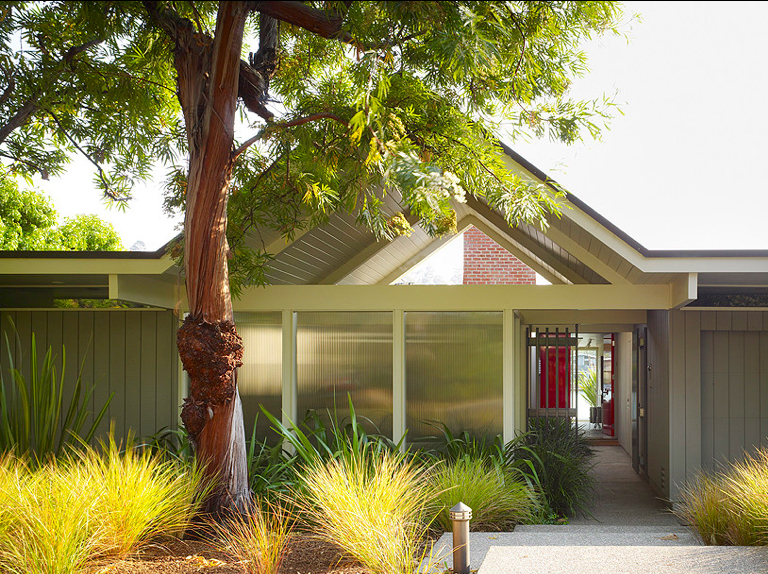 By the end of his visit, Eichler had proposed to Jones that the Builder of the Year team with the Architect of the Year. A handshake cemented a working relationship, which lasted until Eichler's death in 1974.